Tembeck, Iro Valaskakis and Linde Howe-beck. "Eddy Toussaint". The Canadian Encyclopedia, 04 March 2015, Historica Canada. https://www.thecanadianencyclopedia.ca/en/article/toussaint-edouard-eddy. Accessed 24 April 2019. Eddy Toussaint's early jazz work with dancer Eva VON GENCSY led to a 1973 engagement at the Banff School of Fine Arts, where he danced and taught. In 1972 he joined von Gencsy and Geneviève SALBAING to launch LES BALLETS JAZZ DE MONTRÉAL, but left a year later. Edouard (Eddy) Toussaint, dancer, teacher, choreographer, artistic director (b at Port-au-Prince, Haiti 27 Dec 1945). From the mid-1970s to mid-1980s Eddy Toussaint headed a Montréal-based troupe noted for its accessibility and for the boldness of Toussaint's choreography. Toussaint studied ballet with Lavinia Williams in Haiti before moving to Montréal with his family in 1957. In addition to earning 2 bachelor's degrees - in teaching (from the Université de Montréal, 1973) and in physical education with a dance major (from the Université de Québec à Montréal) - he studied classical and jazz dance in Montréal with Eva von Genscy and Zeda Zare, in New York with Matt Mattox and Luigi, and in Paris with Janine Charrat, Yvette Chauviré, Roland Petit and Rosella Hightower. 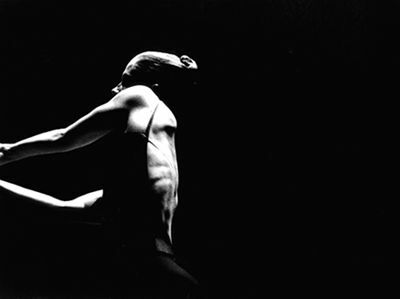 Eddy Toussaint's early jazz work with dancer Eva VON GENCSY led to a 1973 engagement at the Banff School of Fine Arts, where he danced and taught. In 1972 he joined von Gencsy and Geneviève SALBAING to launch LES BALLETS JAZZ DE MONTRÉAL, but left a year later. In 1974 he formed la Compagnie de danse Eddy Toussaint, a troupe that drew on many dance traditions in order to further its popular approach. A school with an enrolment of 700 was attached to the company. He continued his own dancing career until 1978, performing in a variety of television shows. He was also a board member of Québec's Féderation des loisirs de danse, a body governing recreational dance, during the same period. Eddy Toussaint's choreography during the 1970s - often set to the music of Québécois pop singers - was acrobatic, sensual and deliberately anti-intellectual, in keeping with his often-voiced belief that stage dance should both entertain and stimulate. In the late 1970s he surprised his audience by adopting a more balletic style, influenced partly by 5 years of intense schooling by ballet mistress Camila Malashenko and partly by CANADA COUNCIL funding policies that favoured ballet and experimental dance. Toussaint fashioned his new image largely around the popular dancing couple of Louis ROBITAILLE and Anik BISSONNETTE, who achieved a cult following in Québec and who had been nurtured by his school and company. 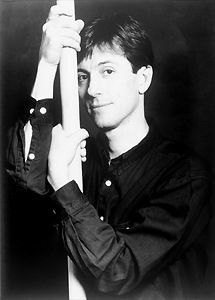 Highlights of la Compagnie de danse Eddy Toussaint included the 1984 Helsinki International Ballet Competition, where his duet Un Simple Moment, performed by Robitaille and Bissonnette, won the first prize for contemporary choreography; a first European tour in 1985; and participation at the 1986 Spoleto Festival USA, where founder Gian Carlo Menotti requested Un Simple Moment be performed at his 75th birthday celebrations in Rome. In 1988 Rudolf Nureyev and French danseur-étoile Charles Jude accepted Toussaint's invitation to perform with his company. Beginning in 1985, Eddy Toussaint's company made regular appearances at Spoleto festivals in the United States, Australia and Italy where, in 1988, one of the choreographer's biggest hits, Mozart's Requiem, was filmed for Italian television. The popularity of the troupe - by then known as Ballet de Montréal Eddy Toussaint - reached its height between 1980 and 1985. Toussaint adopted the role of Québec ambassador in francophone countries and in 1983 was named Great Montréaler, an award presented annually by the Montréal Board of Trade. In 1988, following an exclusive 2-week season of Toussaint ballets offered by the Opera Ballet of Toulouse, France, Toussaint worked out an exchange program with the Odessa Ballet in the Soviet Union. Bissonnette and Robitaille danced Swan Lake there in 1988 and, in return, the Odessa dancers came to Montréal to dance Toussaint's choreographies. In 1987, the Florida Arts Council offered Toussaint and his dancers a 3-year southern residency for 2 months each year in Fort Lauderdale, Florida. While there Eddy Toussaint created New World Symphony, one of his best choreographies, which showed stronger structure and was technically demanding. 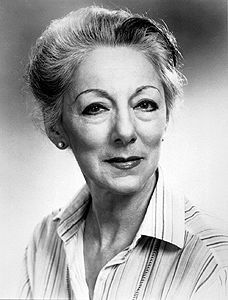 The residency led to an invitation to form the Sarasota Ballet and become its artistic director and chief choreographer. In 1990 Ballets de Montréal Eddy Toussaint disbanded and Toussaint, with about half of his Montréal dancers, moved to Sarasota. There, in addition to establishing a summer workshop taught by top international teachers for the Sarasota Ballet, he also began an ongoing program in conjunction with the University of Florida, combining academic and dance training for talented but economically disadvantaged children. In 1994 Toussaint left the Sarasota Ballet to form Ballet Eddy Toussaint USA and the Eddy Toussaint L'École de Danse. Four years later, Toussaint was appointed artistic adviser and resident choreographer of the National Ballet of Moravia-Silesia in the Czech Republic. There he mentored dancer Zdenek Konvalina and created 2 works that Konvalina showed in his gold medal performances at the Helsinki International competition in 2001. Eddy Toussaint's next step was a new career as an international freelance choreographer. In 2007 he returned to Canada to be director of development at Vancouver's Goh Ballet school, with a goal of producing a new ballet company. He returned to Montréal in 2009 and again demonstrated his indomitable independent spirit by promoting the return of classical ballet in the city where contemporary dance and ballet were kings. Two of his dancers, Klara Houdet and Timothy Tompkins, performed his L'Irréparable Saint-George at the International Ballet and Contemporary Dance Competition in Sibiu, Romania, in 2010, winning awards for best couple and senior female dancer. Toussaint was awarded the jury president's special prize for choreography. Eddy Toussaint has created more than 100 ballets. His important choreographies include the sentimental, acrobatic duet Un Simple Moment (1980); Dam Ballah (1976), influenced by his Haitian roots; Cantates (1978), a dramatic ritual for bare-torsoed men in long circular skirts; Façades (1982), a divertissement catering to tango-mania; and Requiem (1985), a sparse, spiritual composition set to Mozart's score. Populist works inspired by French-Canadian legends which were especially appreciated by his target audience in Québec include Rose LaTulippe (1979) and Alexis le Trotteur (1978). 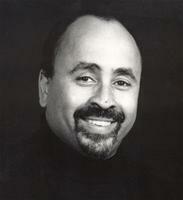 Eddy Toussaint's works are in the repertoires of Les Ballets Jazz de Montréal; several US companies such as the San Diego Ballet, Ballet West (US) and the St. Louis Ballet; companies in Toulouse, Avignon and Bordeaux, France; Ballet Concierto de Puerto Rico; the National Ballet of Moravia-Silesia, Czech Republic; Venezuela's Caracas Ballet; and others. Bonjour Brel has been performed by the National Ballet of Cuba and at the opening of Moscow's new opera house in 2004. Several of his ballets have been televised to Canadian audiences. However, although his work has been critically acclaimed in France, Belgium and the United States, and despite his populist following in Québec, Eddy Toussaint has had difficulty being accepted by the Canadian dance community. An energetic but controversial figure, both loved and hated by critics, fellow choreographers and directors, his temperamental and outspoken character once drove him to picket the Canada Council's offices. In his early days, when his artistic goal was to popularize dance, Eddy Toussaint offered audiences - many of them blue-collar workers - an eclectic mix of modern, jazz, folk and ballet. Since returning to Montréal, he has refocused on reviving pure classical ballet in the city.